Welcome to the full reveal of Sandlot! 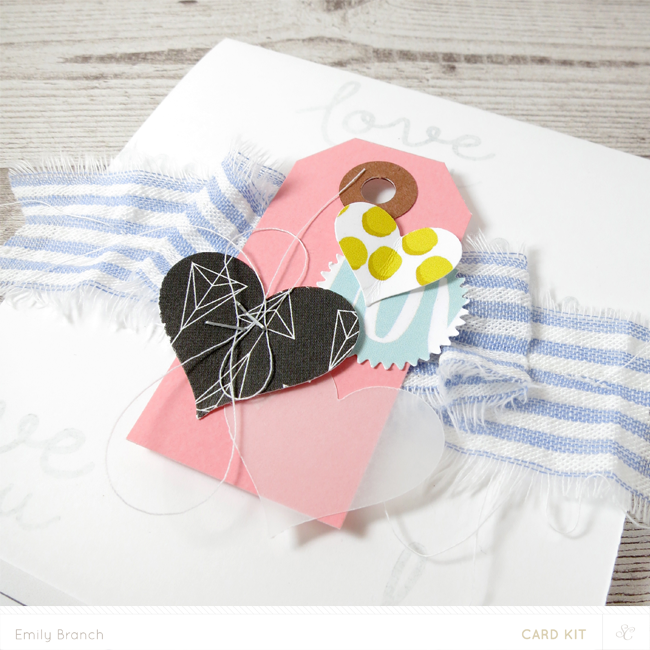 Thanks so much for stopping by to check out some fun ways to use this month's card kit. 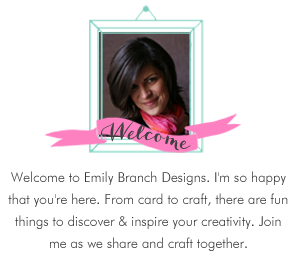 I had such fun playing with the goodies, and made all sorts of cards. First up are two cards I made with the main kit only. The blue and white seersucker ribbon captures the warmth and pleasure of warm and long summer nights of August. 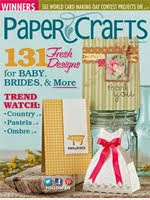 It's so soft and easy to use on any project and looks great as the star of the show. I love the torn edges look of it. I bunched it up a little and stitched it to a very subtly stamped card base. The pink shipping tag that comes in the main kit contrasts so nicely with the ribbon. I adhered it to the card with foam tape, and then punched hearts from patterned paper and vellum to add some color and interest to the card. This next card showcases the schoolish feel of the main kit. 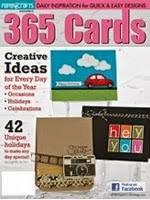 The card base is fun notebook patterned paper. I loved the color triad of the numbers so I trimmed 1-9 and adhered them to the base. 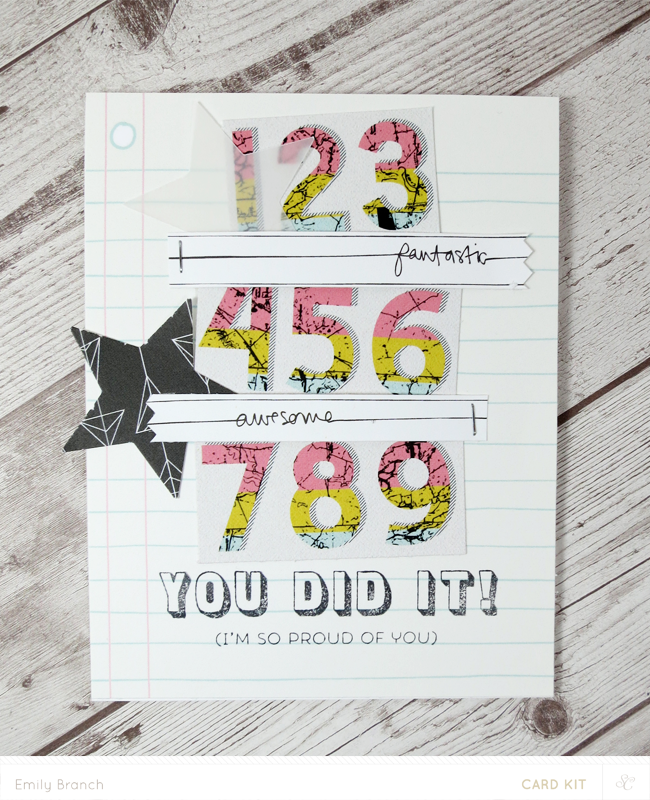 A few strips of patterned paper that say fantastic and awesome add a visual rest point between the numbers and are adhered to the card with a favorite school tool; a stapler. 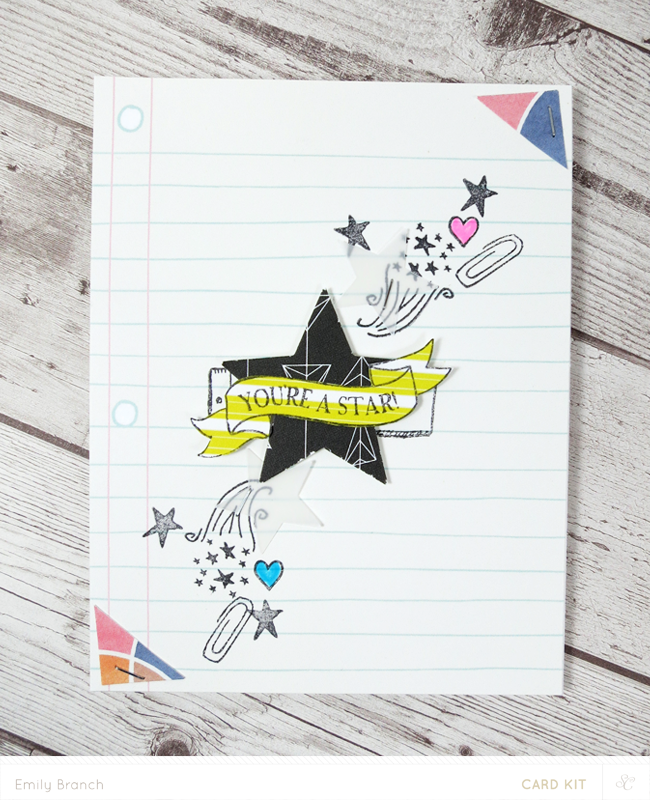 A few punched stars help give this card a congratulatory feel. 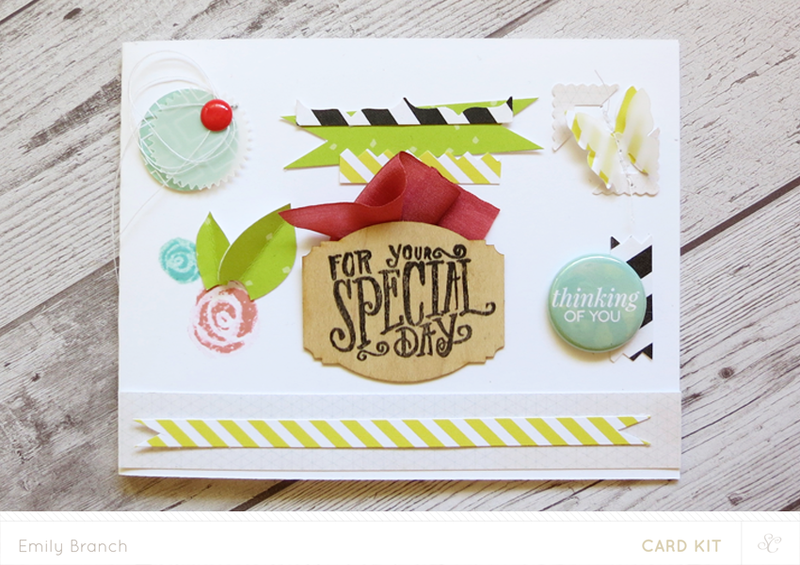 And, I just love the design of the sentiment stamp! If there ever was an add on to love, Squints would be it! 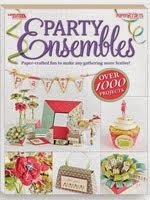 I simply adored all the embellishments and goodies of this kit. 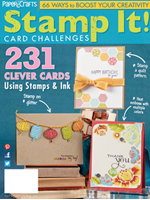 From the fun flair, to the lush seam binding to the most adorable floral stamp set EVER! I had such fun playing with the flowers. 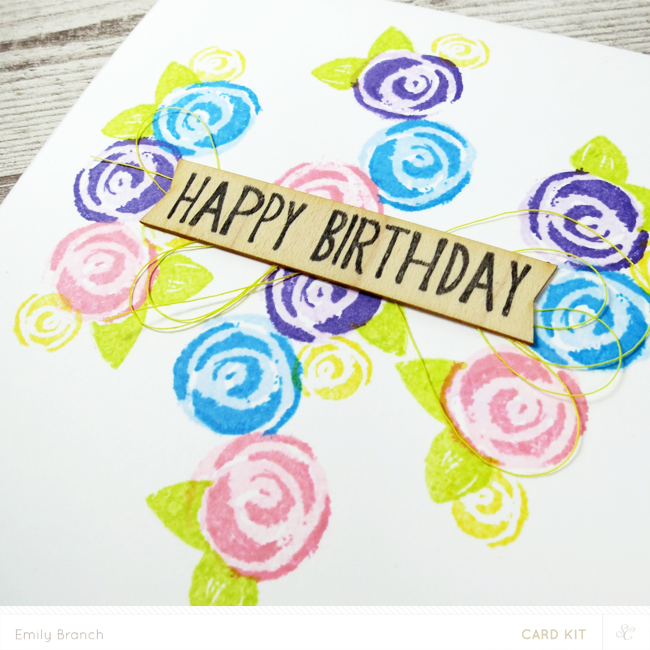 For this card, the main focus are the small roses that build upon one another making garlands. I chose a tint and tone of violet, pink and blue and used the tone of each color to stamp over the the lighter rose image, bringing out the details of the image. Some miniature yellow roses finish up the garland. Okay, these wood veneer labels are the funnest! Every time I see veneers in the kits, my heart skips a beat. I love that they are the perfect size to stamp a coordinating sentiment on. As mentioned in this post, the CT played along in a fun challenge this month. 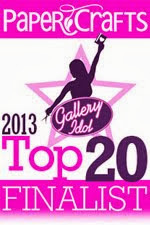 We chose members projects and lifted them for one or even two of our monthly projects. 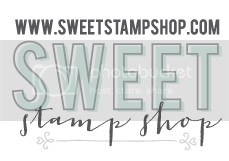 I was inspired by Kathryn Quintana's card; The Sweet Life. Her card was clean, graphic and was put together well. 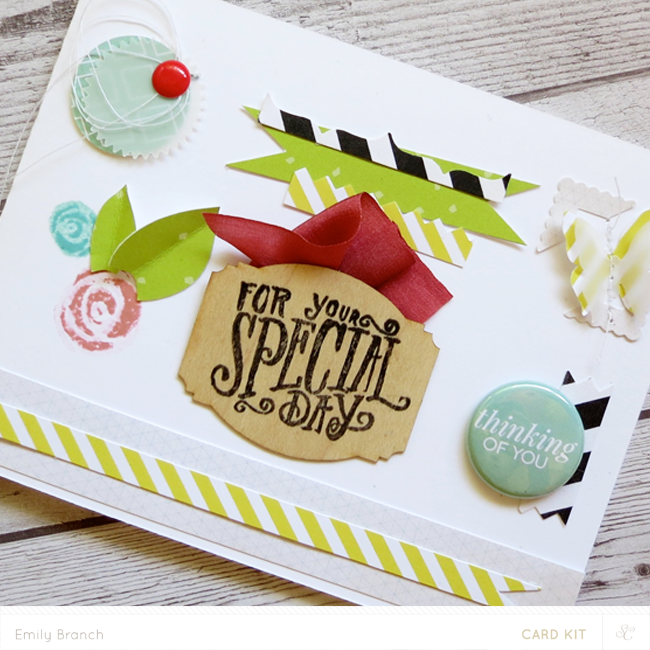 I lifted the sketch of her card, which was perfect for showing off all the fun embellishments and paper included in this kit. The stamp set in Squints also includes a larger rose image. 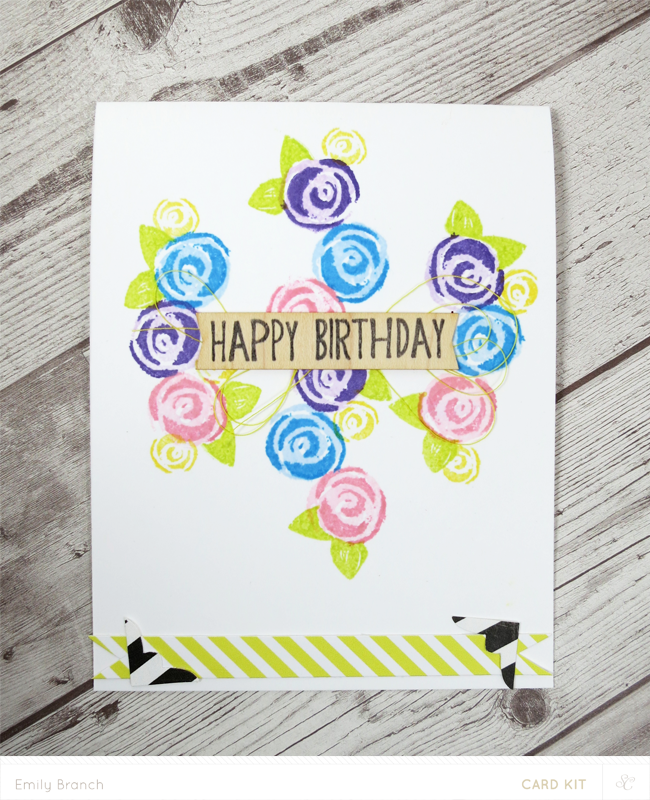 For this card, I stamped a grayish-black rose as the background, and added some bright green leaves to each flower to give it some punch. A vellum overlay softens the bold color of the roses. And, because I adore the wood veneers, I tool the negative of one of the labels, trimmed it and used it as a miniature frame for a sentiment that fits perfectly inside of it. I loved doodling in my sketchbooks when I was a kid. Anytime a teacher drafted on about something not terribly important, I'd doodle in the margins. This months add on stamp and die set, Teacher's Pet has a feeling of school doodle to it So, i took the the most doodle-esque images in the set, and stamped them on a card base of notebook patterned paper. 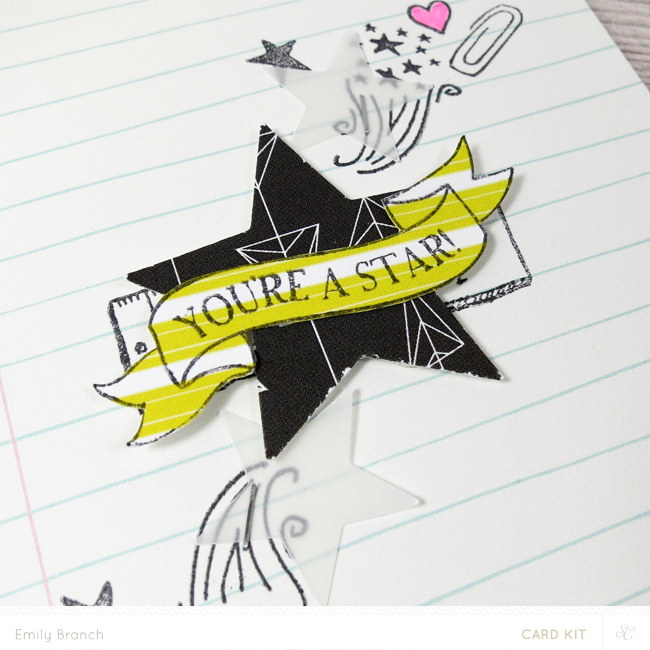 I punched stars from patterned paper and vellum. The center star is embellished with a sentiment banner fussy cut, and colored in some hearts with what else? Fluorescent highlighters; found in every teen's pencil bag and notebook! If you're a subscriber, kits and new product go live at noon (EST), but if you're not a subscriber you can snag these fabulous kits at midnight (EST) tonight! 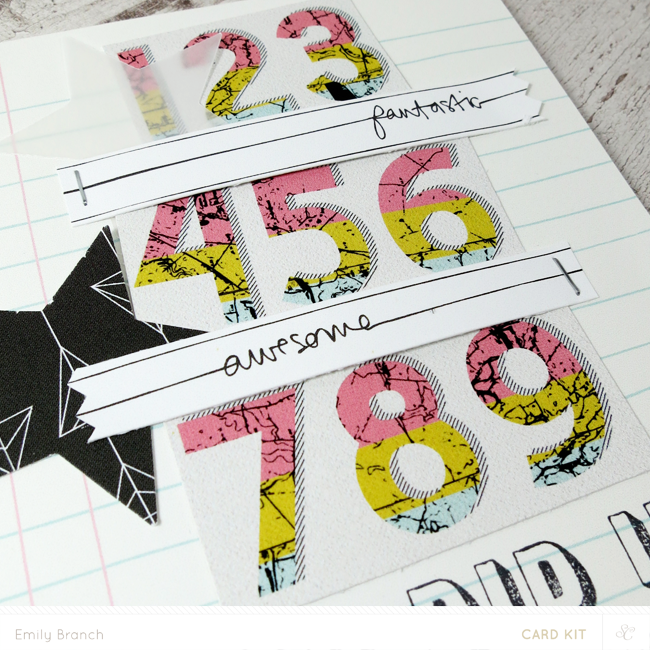 Make sure to get these kits and coordinating die cuts quickly-they're going to sell out fast!